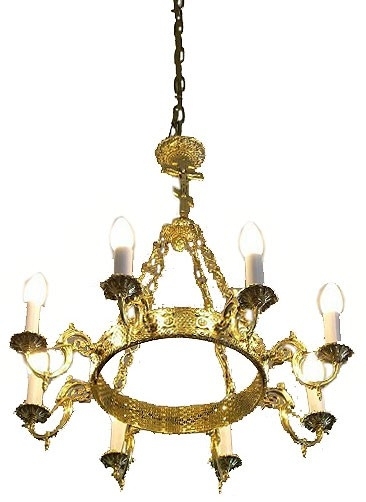 Traditional Orthodox Christian church chandelier (horos). Brass, hand-casting and hand-polishing. Diameter: 25.6'' (65 cm), height: 27.6'' (70 cm).